This mildly sweet flavor and certified gluten free formula makes this teriyaki sauce versatile enough to use as a marinade or for stir-frys and fried rice. 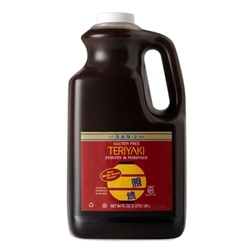 Use San-J Teriyaki Sauce to marinate and season meats, fish and vegetables. 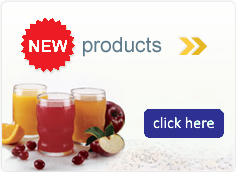 Marinate meat for 30 minutes and cook as desired, or marinate vegetables for 10 minutes and saute or steam. Ingredients: Tamari Soy Sauce (Water, Soybeans, Salt, Alcohol), Water, Organic Sugar, Honey, Sake (Water, Rice, Salt), Apple Cider Vinegar, Garlic Puree, Rice Vinegar, Ginger Puree, Plum Juice Concentrate, Torula Yeast, Canola Oil, Spices, Arrowroot, Xanthan Gum.